We always welcome visitors to our orchard! The entire farm is open year-round, so you can go for a walk down to the pond, showshoe out to the back woods, or have a picnic in the gazebo anytime you make the trip to see us. Depending on the season, you might be able to see jam being made, apples being pressed for cider, or could bring home some delicious seasonal fruit. The County J loop (which we are located on) is a great spot to take a bike ride and enjoy the views! 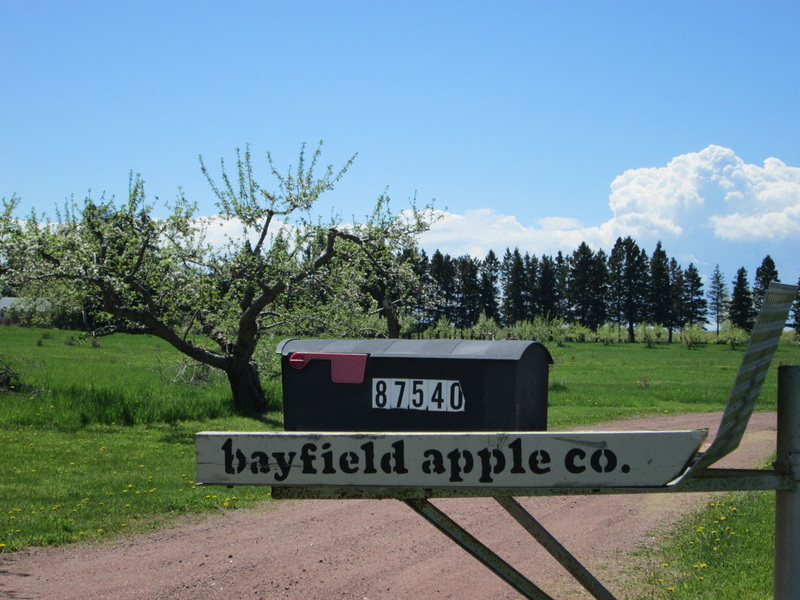 We hope you will make the trip up to Bayfield's beautiful farm country soon! We would love to hear from you! Feel free to contact us with comments, questions or suggestions!